In the card collecting hobby parlance, a "broder" is an unlicensed card. 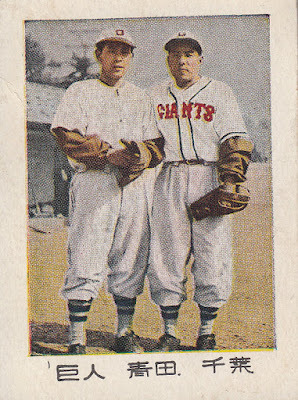 The name somewhat unfairly comes from the Broders, a father and son duo who were famous/infamous for publishing unlicensed cards in the 1970's through the 1990's. 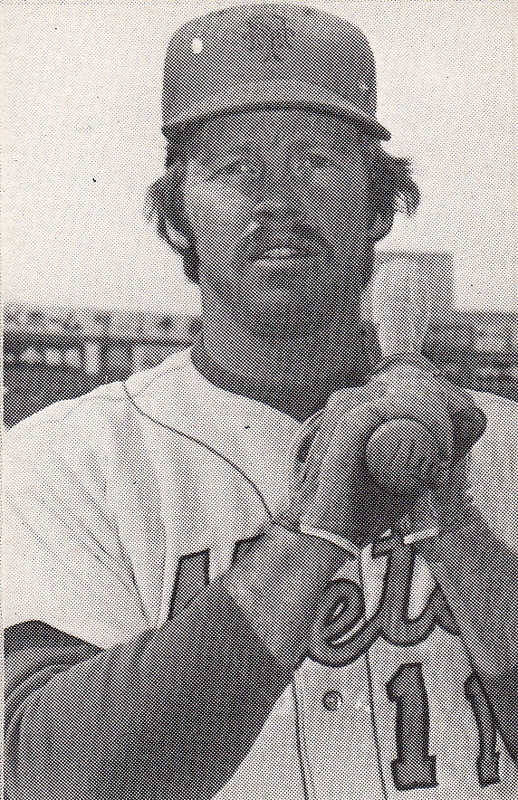 Ed Broder, the father, had put out a number of "collectors" sets during the 1970's featuring mostly retired players (an All Time Mets team set, a set for the 1962 Mets, Stars of the 1950's, etc) that in many ways resembled the kinds of cards being issued by TCMA around the same time. 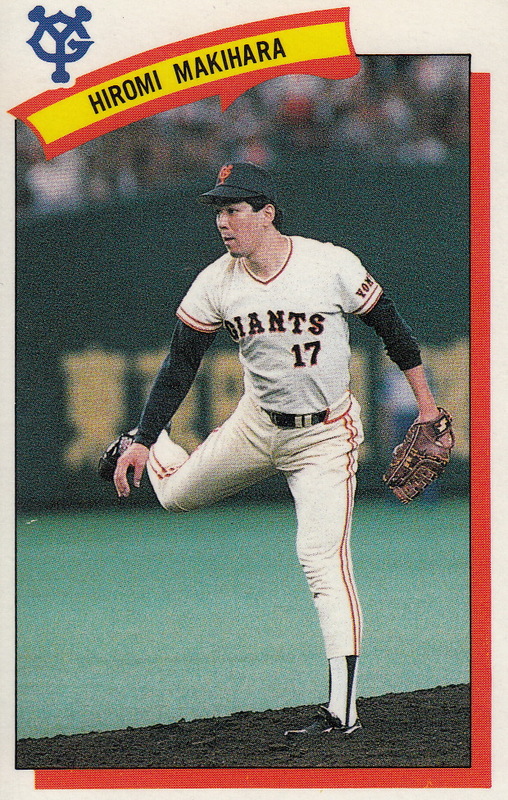 Rob Broder, the son, is the one who published unlicensed sets of major leagues in the 1980's and 1990's. Ed Border served in the Air Force for a number of years and was stationed in Japan from 1971 to 1977. 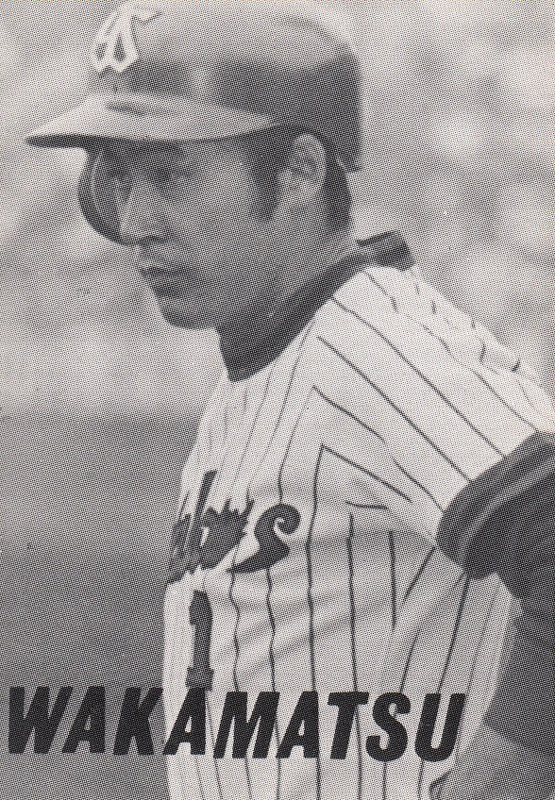 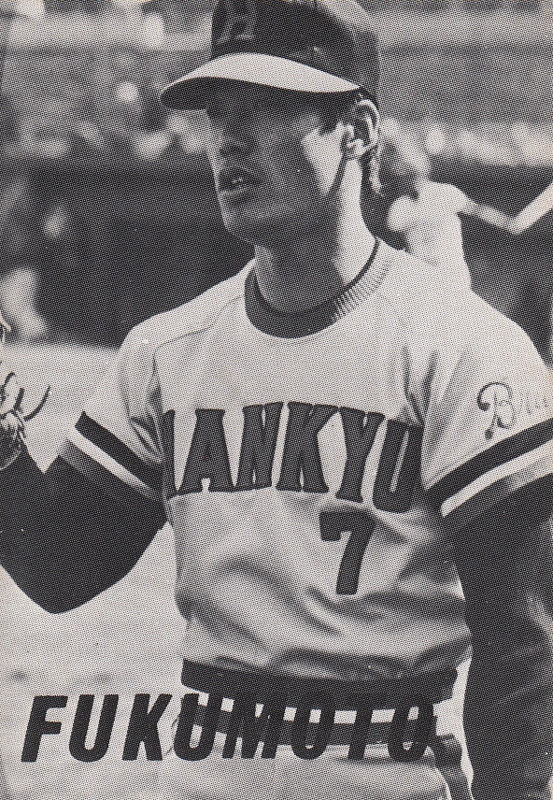 He published six sets of cards that featured NPB players between 1974 and 1976. 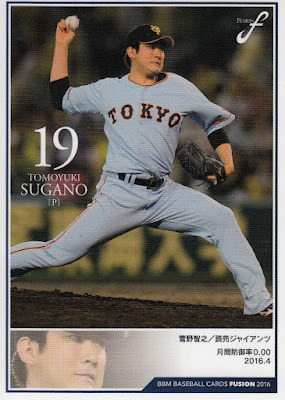 Like his cards of MLB players, these card sets were unlicensed by NPB. 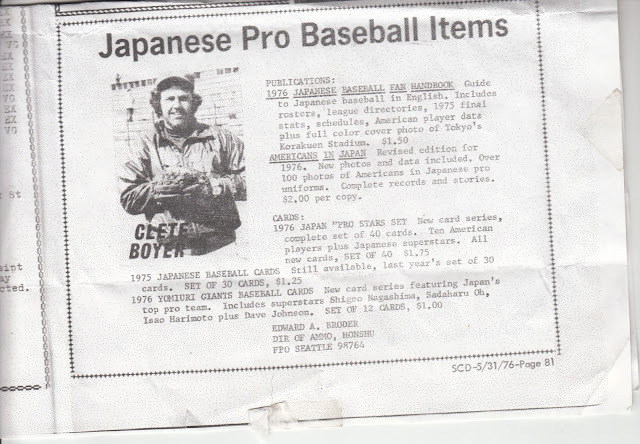 However, as Gary Engel points out in his "Checklist and Price Guide", "most pre-1975 Japanese cards of all types are unlicensed". 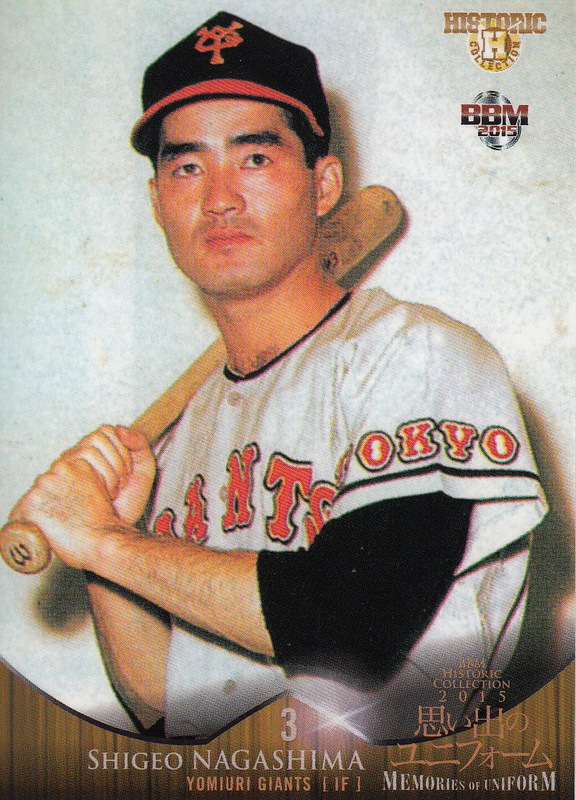 Indeed Masanori Murakami told me last summer that he had never seen the 1967 Kabaya-Leaf card of himself until Rob Fitts gave him one a few days earlier. "They have to ask permission now" he said, implying that the card manufacturers never did during his playing days. Quoting again from Engel: "So, despite the stigma sometimes attached to his American issues, Mr. Broder's Japanese player issues are highly collectable". 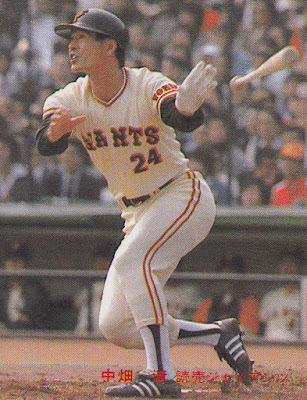 As I mentioned previously Broder published six sets of NPB cards - two in 1974, two in 1975 and two in 1976. 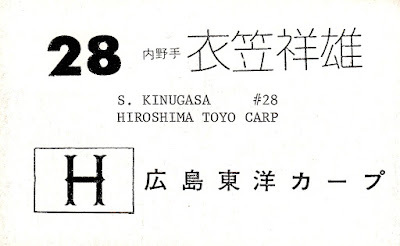 I'm not positive about this, but I think that the first set he published was a 20 card set for the Hiroshima Toyo Carp (which Engel has labeled as "JA3"). 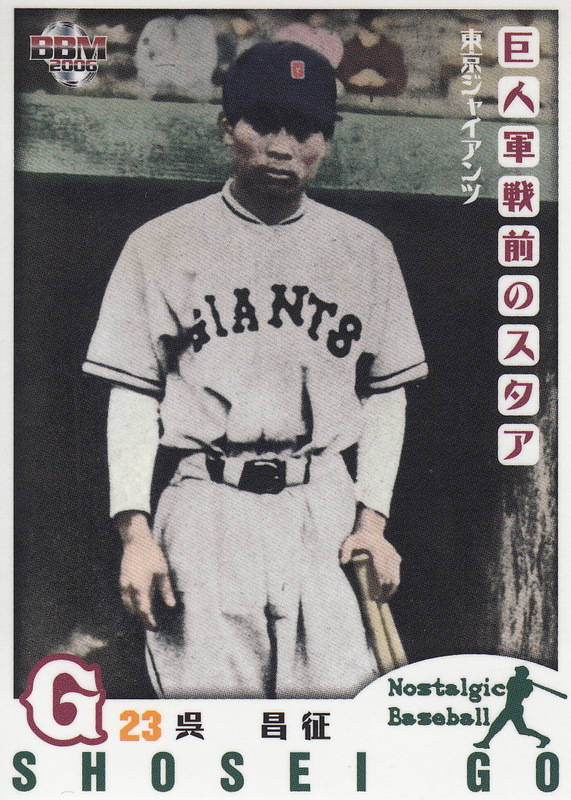 The cards in the set featured borderless black and white photos with no text on the front. The backs had the players name (in both English and Japanese), number and position (in Japanese) with the Carp logo and Japanese name. 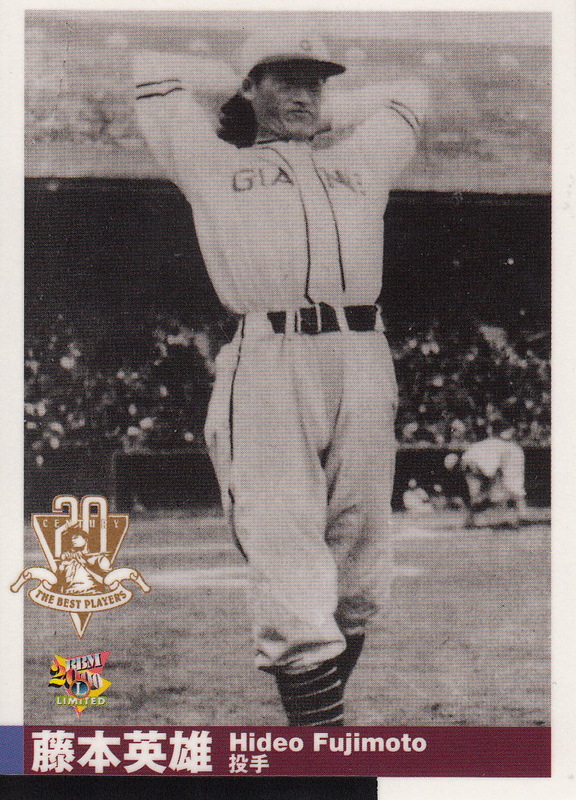 The cards were a little larger than the standard size (2 1/4" by 4") and were unnumbered other than the uniform number. 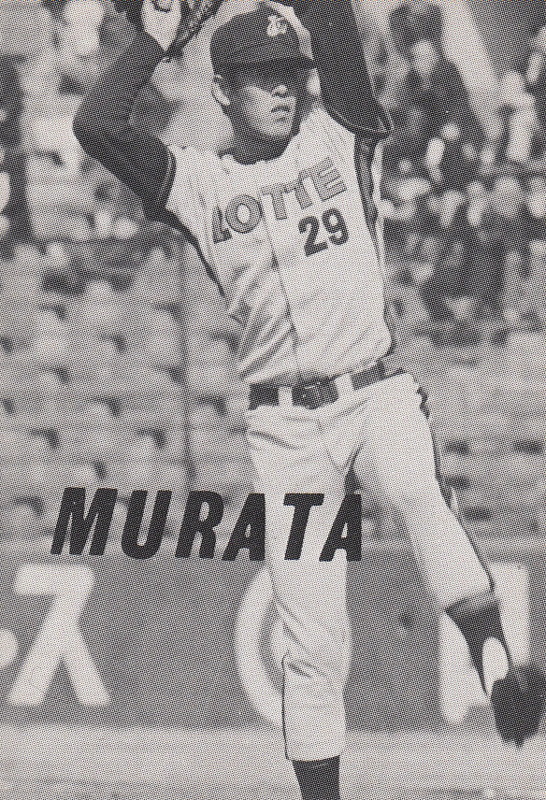 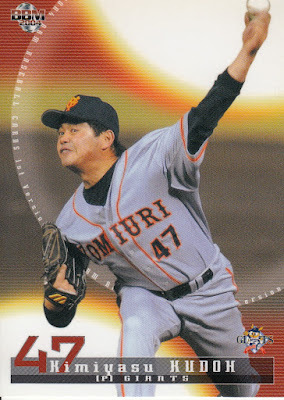 The set included two cards of the Carp manager (Katsuya Morinaga), cards of the main players on the Carp at the time - Sachio Kinugasa, Yoshiro Sotokoba, Koji Yamamoto, cards of the two Americans playing on the team - Jim Hicks and Mickey McGuire - and a card for Joe Lutz, an American coaching with the team. 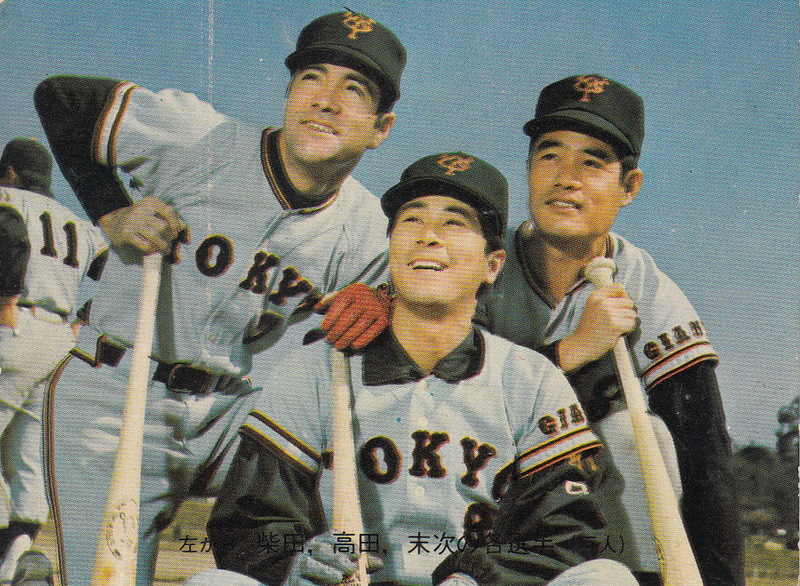 The set also included a card showing all three Americans. 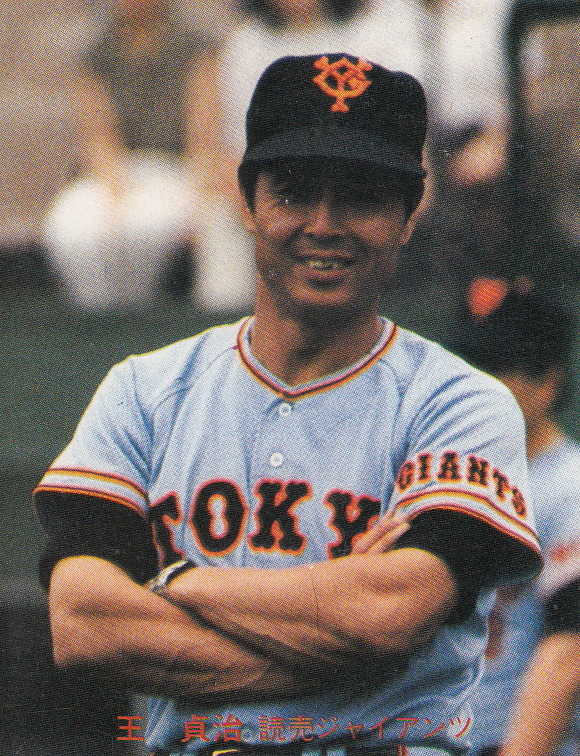 The following season Lutz would become the first American not of Japanese descent to manage a team in Japan when he replaced Morinaga. 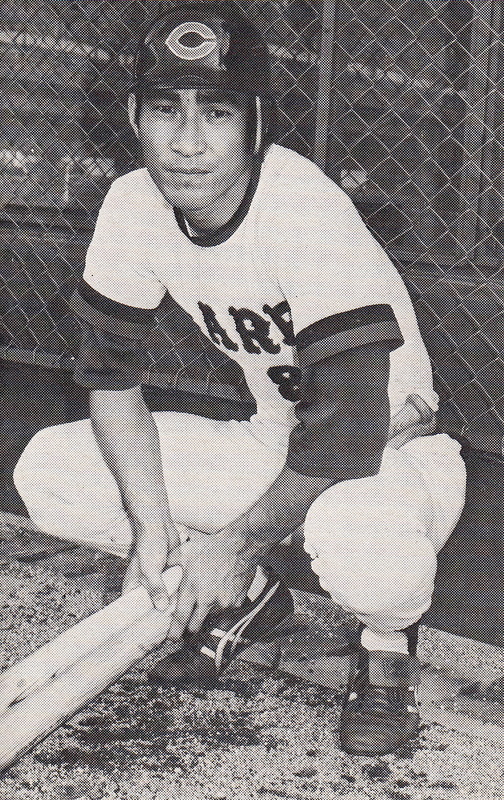 Broder's second set for 1974 is probably the most interesting of his sets. 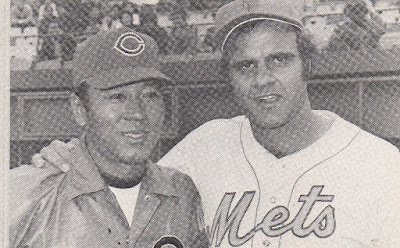 In late October of 1974, the New York Mets arrived in Japan for an 18 game tour against the Yomiuri Giants and various combinations of NPB stars. 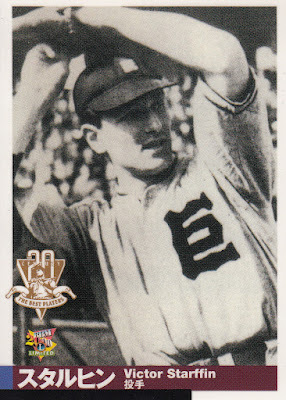 Broder produced a 20 card set for the tour that Engel labeled as "JA2". 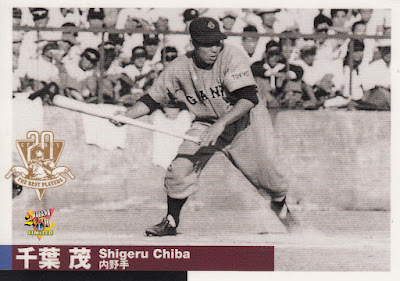 Like the Carp cards, the fronts of the cards were borderless black and white photos with no text. 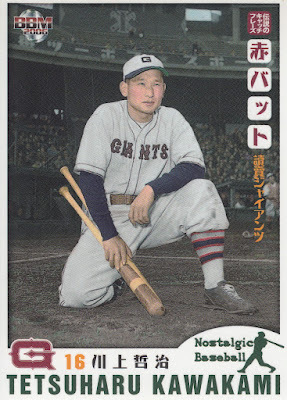 The biggest difference with these cards were that they were smaller than the standard card size (1 7/8" x 3") and had no Japanese text on the back. The set include nine cards for the Mets (Manager Yogi Berra, Wayne Garrett, Ron Hodges, Jerry Koosman, Jon Matlack, Felix Millan, John Milner, Tom Seaver and George Theodore), eight cards for the Giants (Tsuneo Horiuchi, Kazumasa Kono, Shigeo Nagashima, Sadaharu Oh, Shitoshi Sekimoto, Toshimitsu Suetsugu, Kazumi Takahashi and Yoshimasa Takahashi) and three cards showing groups of players - one with Joe Torre and Kazuyoshi Yamamoto of the Carp, one with Yamamoto and Tetsuharu Kawakami of the Giants and one with Sachio Kinugasa, Torre, Milner and Ed Kranepool. 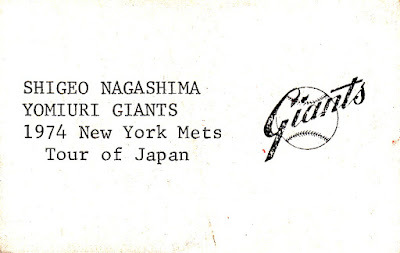 There are two really interesting things about this tour to me - one is that Shigeo Nagashima played in it despite the fact that he had already retired (and he hit .444 for the Series as well) and the other is that Joe Torre played for the Mets despite the fact that he had only been traded to the Mets from the Cardinals about 10 days before the team left for Japan (he was traded on October 13th and the Mets left on October 24th). 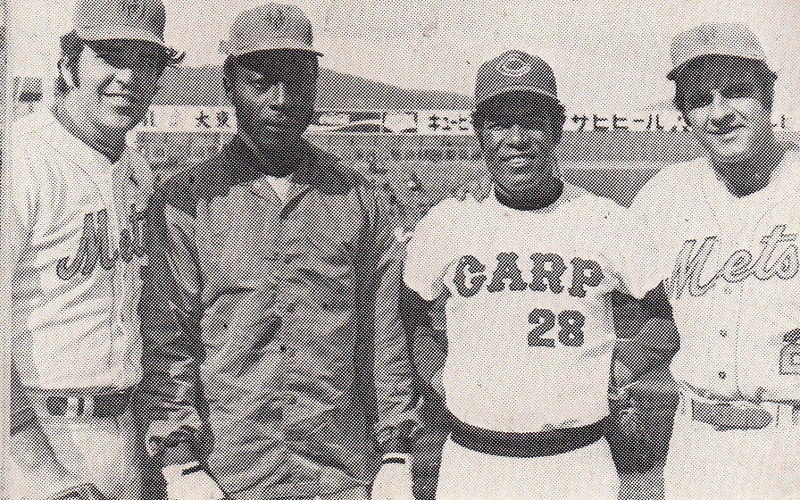 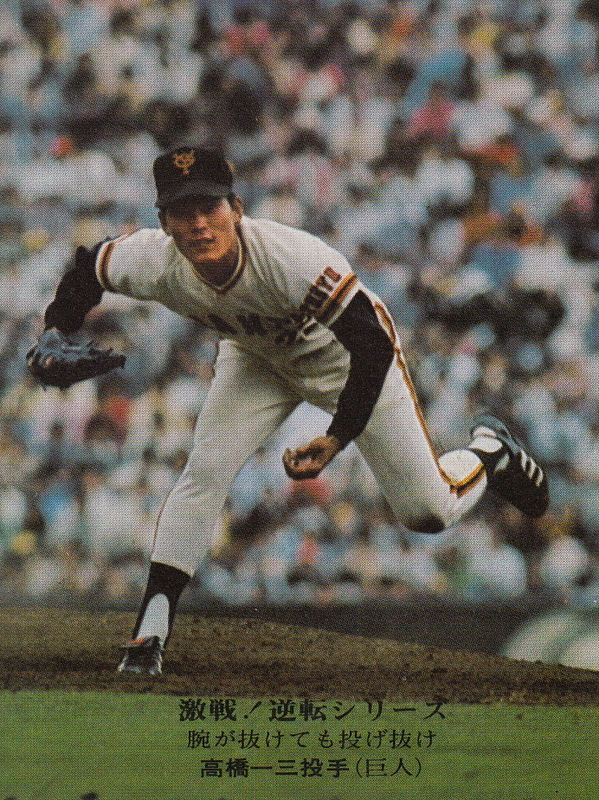 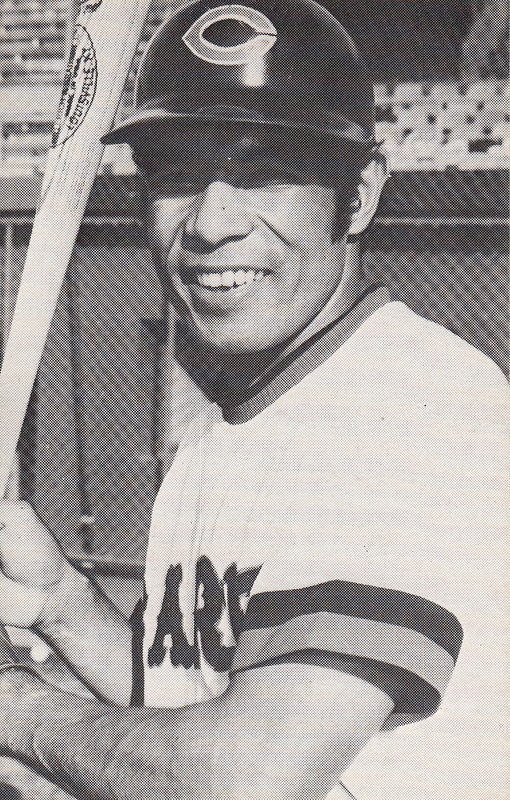 Millan and Garrett would go on to play for Japanese teams later in the 1970's. 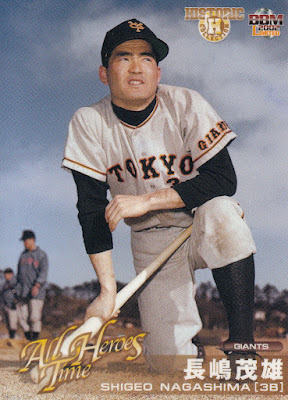 Broder's next set is a 50 card set known as "Japan Top Star" ("JA4") that he issued in 1975. These cards were the same size as the Mets Tour cards and featured similar backs, although these cards were actually numbered (1-57 with no #'s 16, 25, 29, 52, 53, 55 and 56). 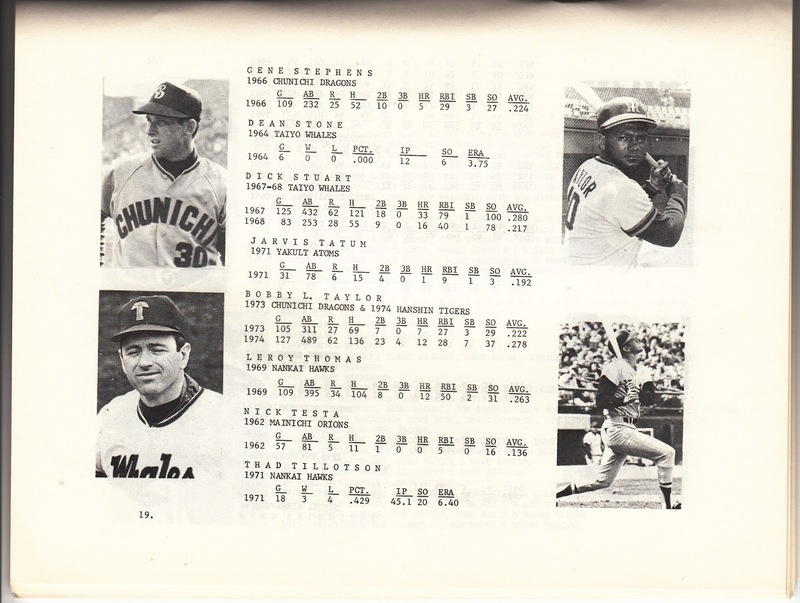 Once again the fronts were a borderless black and white photo with no text. 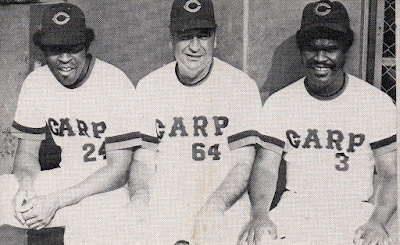 Despite this being listed as a 1975 set, the cards depict the players with their 1974 teams. This set features the top stars of NPB (as you would expect from the name) including Oh, Nagashima, Kinugasa, Koji Yamamoto, Tsutomu Wakamatsu, Senichi Hoshino, Kenichi Yazawa, Koichi Tabuchi, Yutaka Enatsu, Isao Harimoto and Hiromitsu Kadota. There's a large number of Americans included in the set - Gene Martin, John Sipin, Joe Lutz, Bob Taylor, Roger Repoz, Don Buford, Matty Alou, Clarence Jones, Ron Lolich, Wes Parker, Clete Boyer, and Don Blasingame. 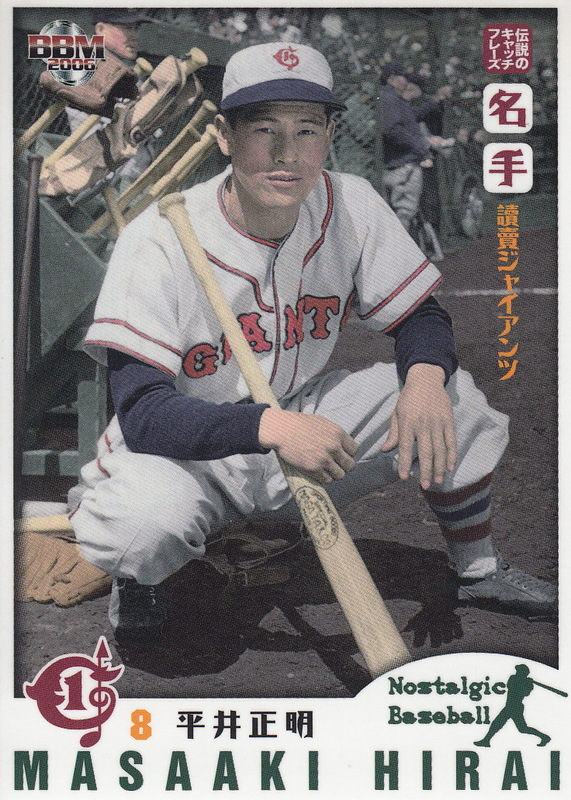 I think this set contains the only Japanese cards for Parker and Lolich and this and the Carp set contain the only ones for Lutz. 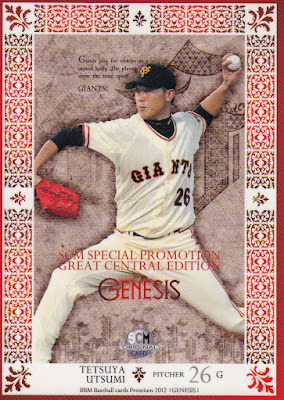 Unfortunately I do not have any cards from this set to show off. 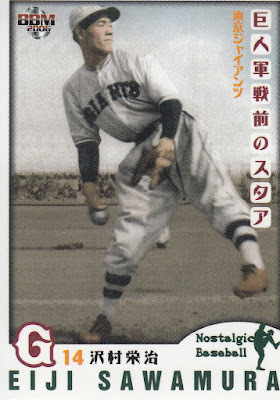 Broder's next set was a 40 card set that was pretty much identical to JA5. The set is known as "JA6" and features players with their 1976 teams. 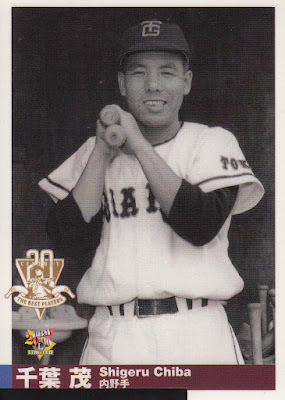 The players in the set were again a mix of the top Japanese players (Oh, Kinugasa, Koji Yamamoto, Tabuchi, Fukumoto, Keishi Suzuki) and most of the Western players (Clete Boyer, Hal Breeden, Gail Hopkins, Garry Jestadt, Jim Lefebvre, Bobby Marcano, Richie Scheinblum, John Sipin, Bernie Williams and Ron Woods). The set also includes a card of Dragons manager Wally Yonamine and Orions manager Masaichi Kaneda. 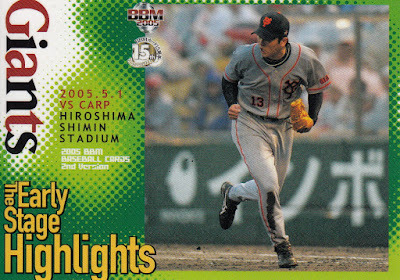 I don't have any cards from this set either. 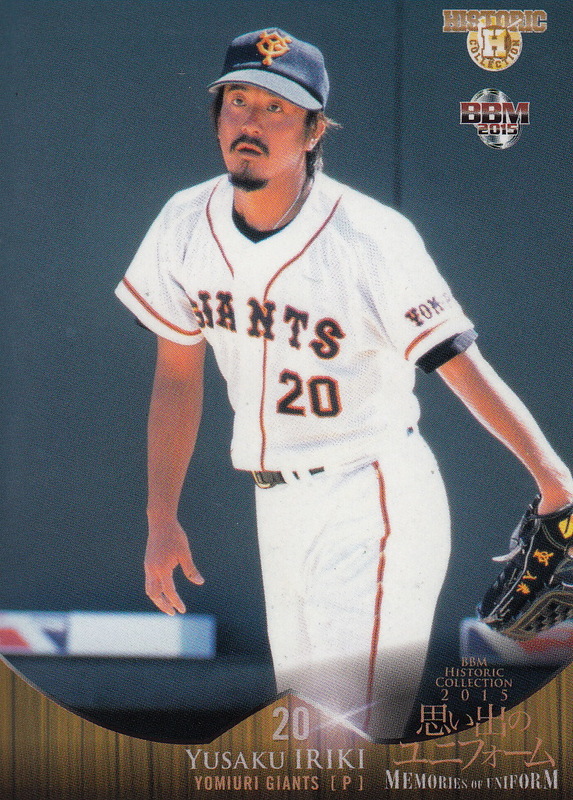 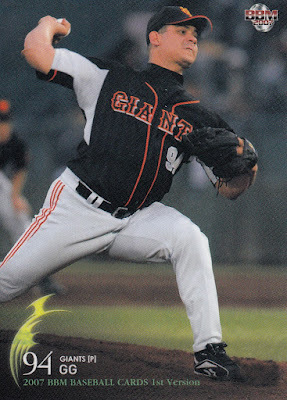 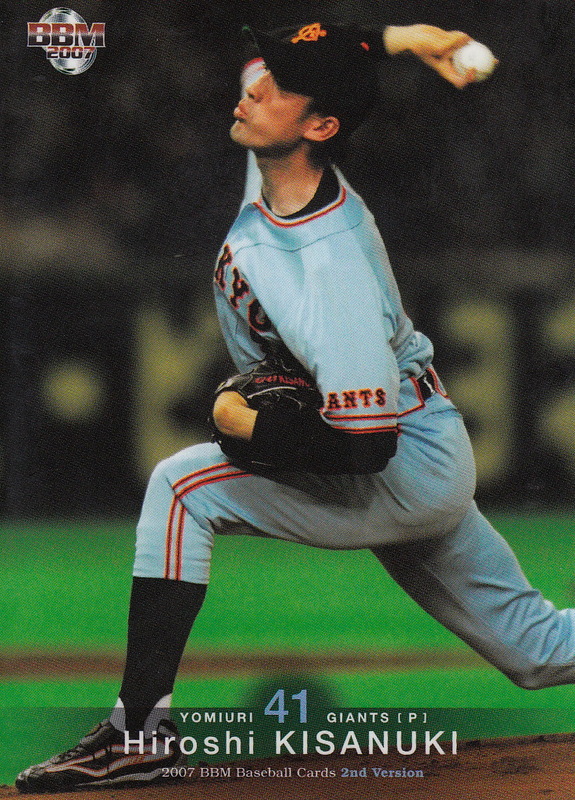 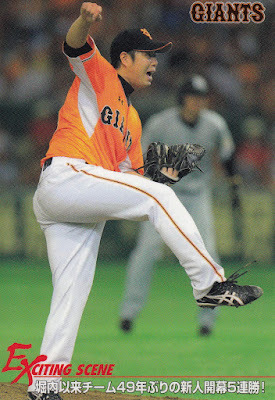 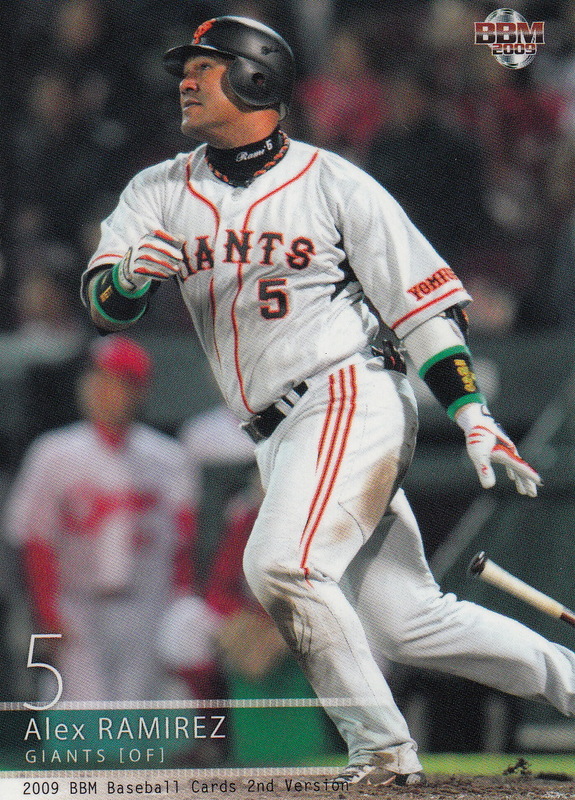 Broder's final Japanese set was a 12 card set for the Giants ("JA7"). These cards were blank backed and had similar fronts to the previous two sets but were large (2 2/8" x 3 15/16"). 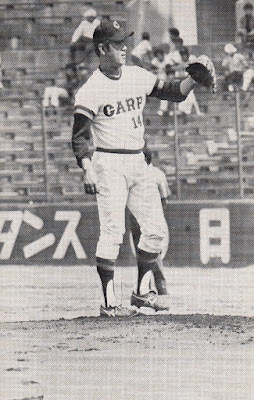 The twelve players included were Shozo Doi, Isao Harimoto, Tsuneo Horiuchi, Dave Johnson, Kazumasa Kono, Shigeo Nagashima, Hisao Niura, Sadaharu Oh, Isao Shibata, Toshimitsu Suetsugu, Shigeru Takeda and Takashi Yoshida. Once again I don't have any cards rom this set. 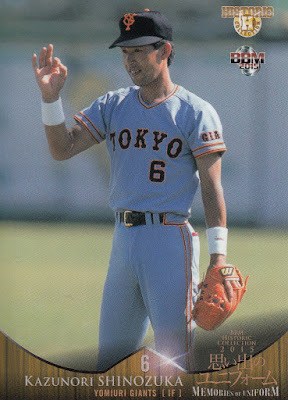 The three sets he's selling are JA6, JA5 and JA7. The Clete Boyer card shown in the ad is from the JA6 set. 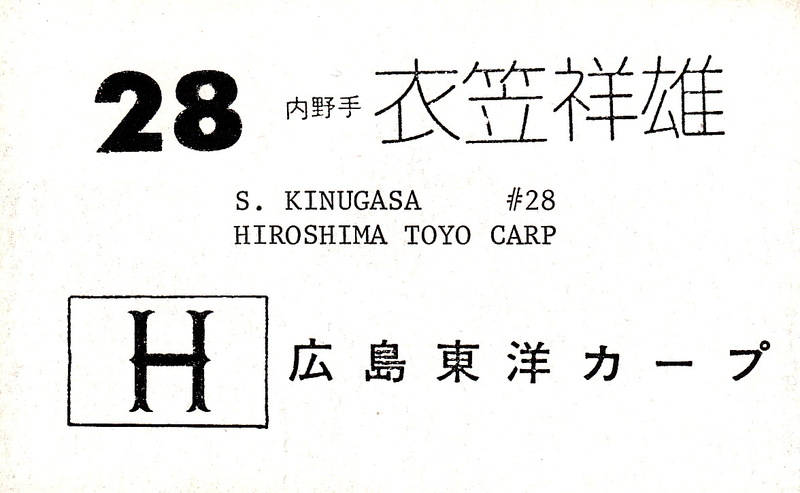 You'll note that he's also selling two publications. 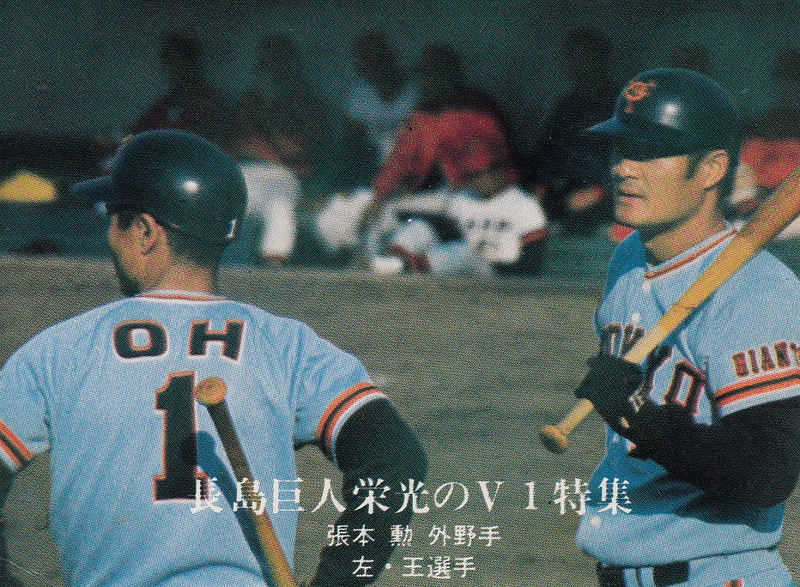 The first is the "1976 Japanese Fan Handbook". 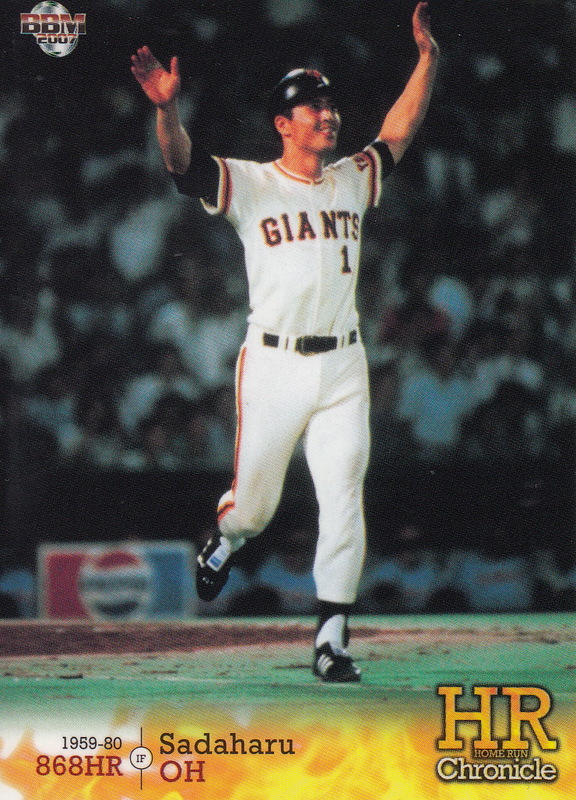 I believe that this is the first edition of Wayne Grazyck's annual guide. 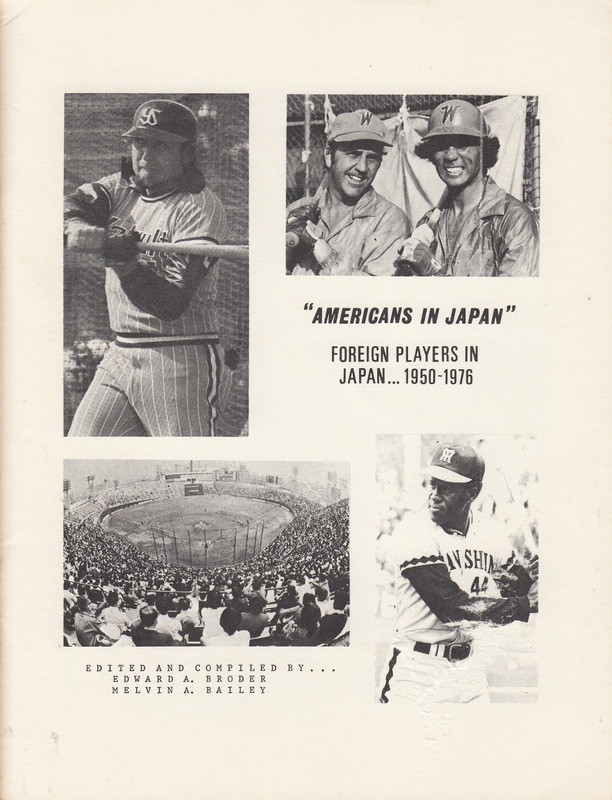 The second is a booklet entitled "Americans In Japan". 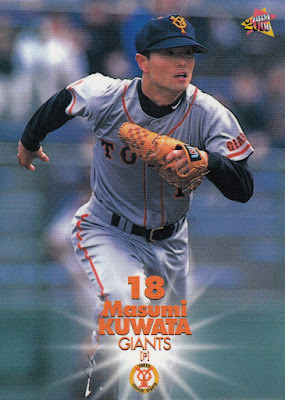 I was able to pick up a copy of this off Ebay a while back. It's a fascinating little 30-ish page book put together by Broder and Mel Bailey that lists all the Western players, coaches and managers in Japan from 1950 to 1976. 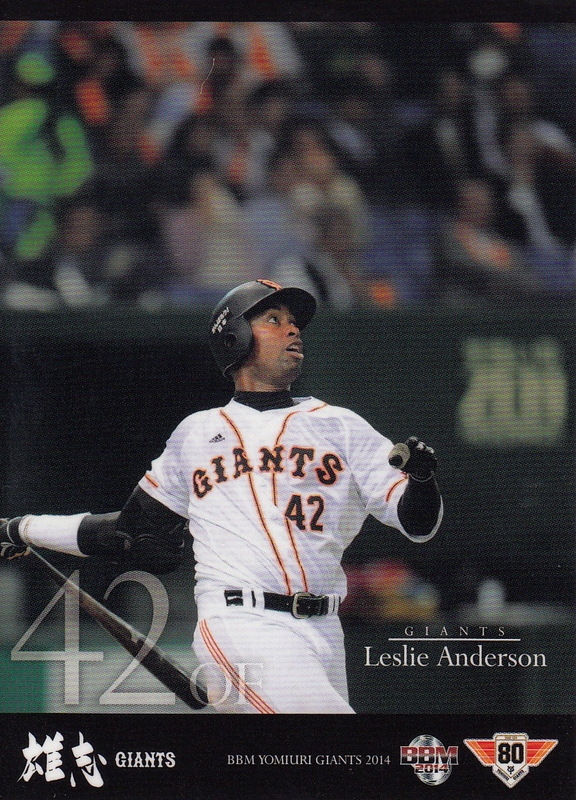 The book is illustrated with many back and white photos, many of which were used in Broder's sets (and in fact are the actual cards with the text on the front). 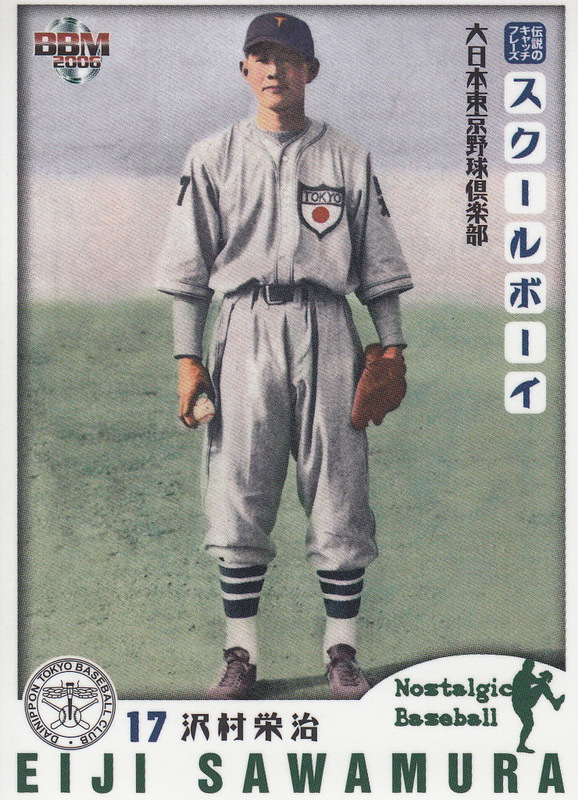 Some of the other photos are reproductions of menko and Kabaya-Leaf cards (Bailey imported both menko cards and the Kabaya-Leaf cards to the US in the 1960's). UPDATE - I neglect to mention some of my source material for this post. 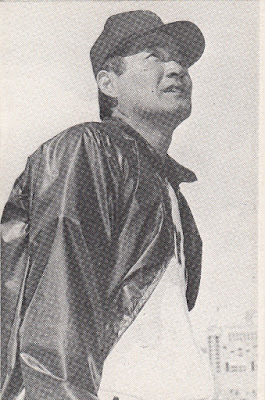 Ralph Pearce was kind enough to share part of an unpublished interview he did with Ed Broder a few years back. The background information on the Mets tour of Japan came from Robert Obojski's book "The Rise Of Japanese Baseball Power". Hideki Matsui and I would like to wish you all a Merry Christmas and Happy Holidays! The oldest continuous professional baseball team in Japan started life in late 1934 as the Dai Nippon Tokyo Yakyu Kurabu or "Great Japan Tokyo Baseball Club". 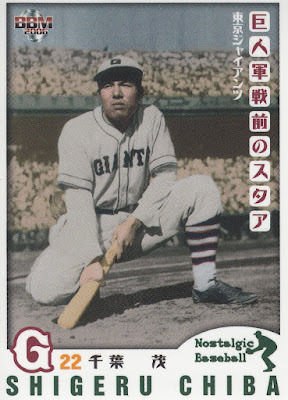 The team was made up primarily of the All Nippon team that had just played against an MLB All Star team that included Babe Ruth (as described in Rob Fitts' book "Banzai Babe Ruth"). 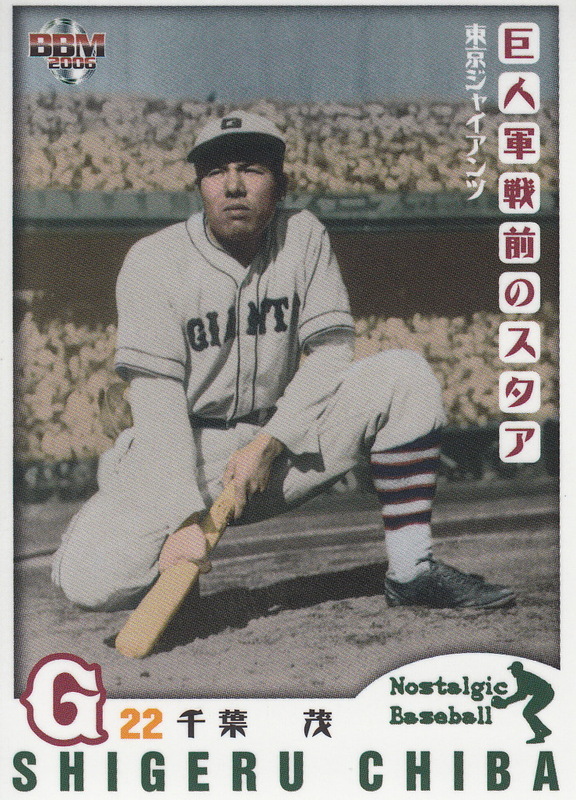 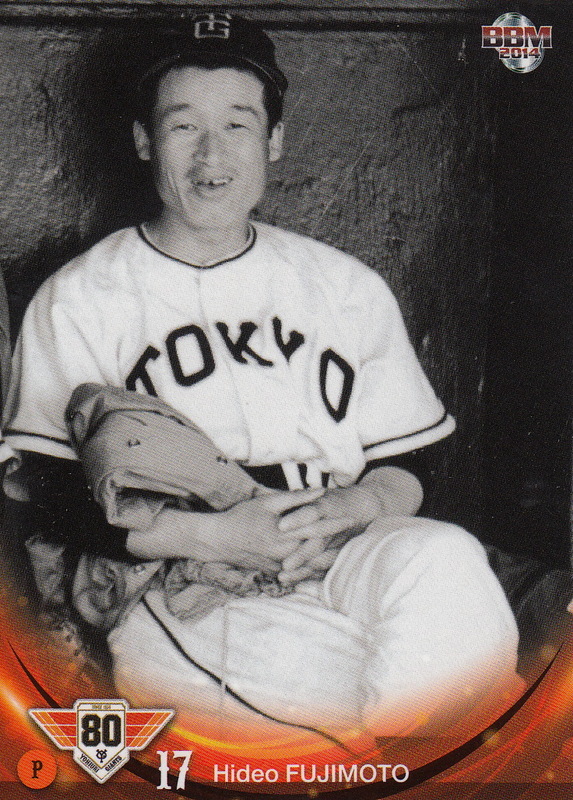 The team barnstormed in the Western US in 1935 and returned again in 1936 under the name Tokyo Giants. 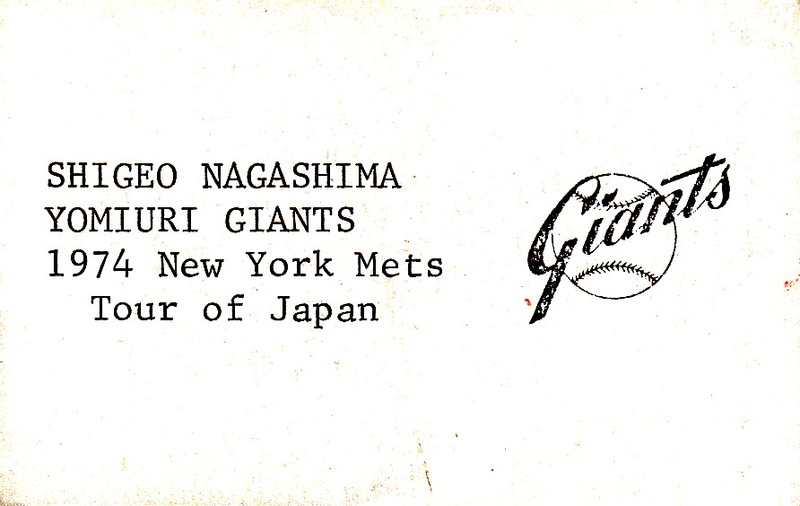 At some point (and I'm not entirely sure when) the team's official name became the Yomiuri Giants. I'm using the same sources for this post as all the other ones - The History Of Uniform, Professional Baseball Uniforms Encyclopedia 1936-2013 and the uniform posts from Yakyu Baka and Yakyu DB. 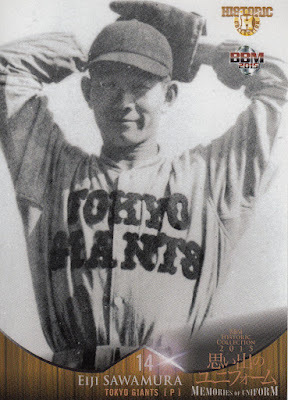 NOTE - I list all the uniforms I've identified, even ones that I don't have cards for, so there may be spots where there's a uniform listed but no picture. There's a lot of subtle distinctions that HOU grouped together as one uniform and PBUE had as separate uniforms. For the most part I went with HOU's groups. The 1953-60 uniforms actually had about four different versions of the hat starting with the "T/G" hat used on the Chiba and Fujimoto cards showing the 1953 uniforms and ending with the traditional "Y/G" logo that's been used ever since. 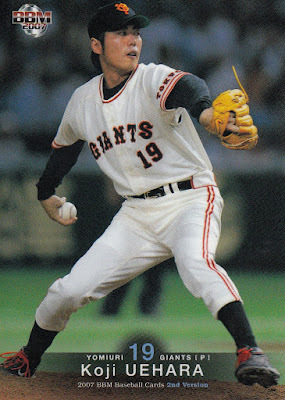 There's a slight change in the home uniform that was made in 1990 - the color got a little whiter from a more yellow-ish tone. 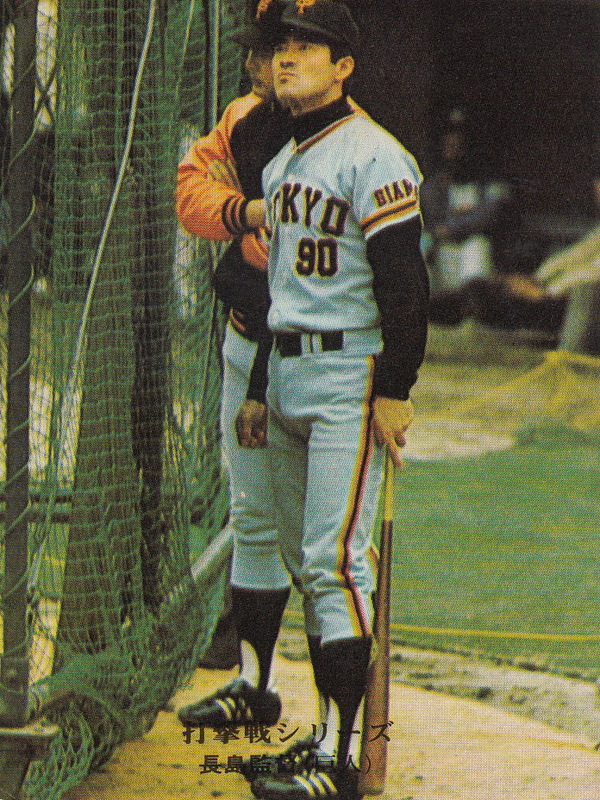 The big difference between the 1975 uniforms and the 1976-80 uniforms is that the player names went on the back of the jerseys in 1976. 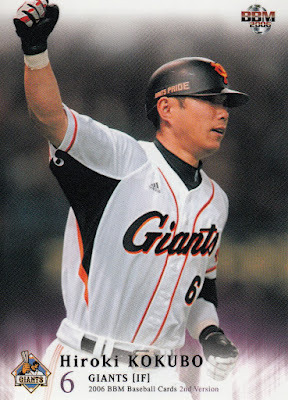 PBUE lists the Away uniforms for 2008, 2010 and 2011 separately and correspondingly does not list any Away uniforms for 2009, 2012 and 2013. 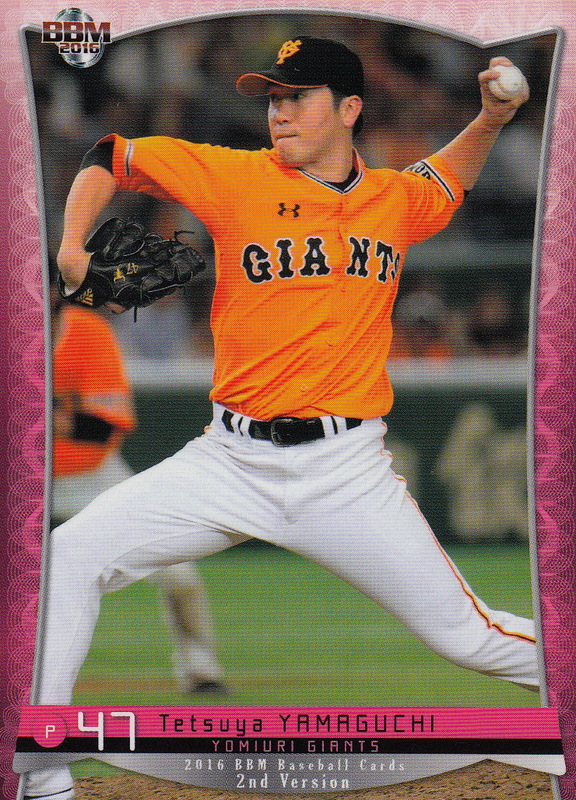 I'm pretty sure that these are all the same design. 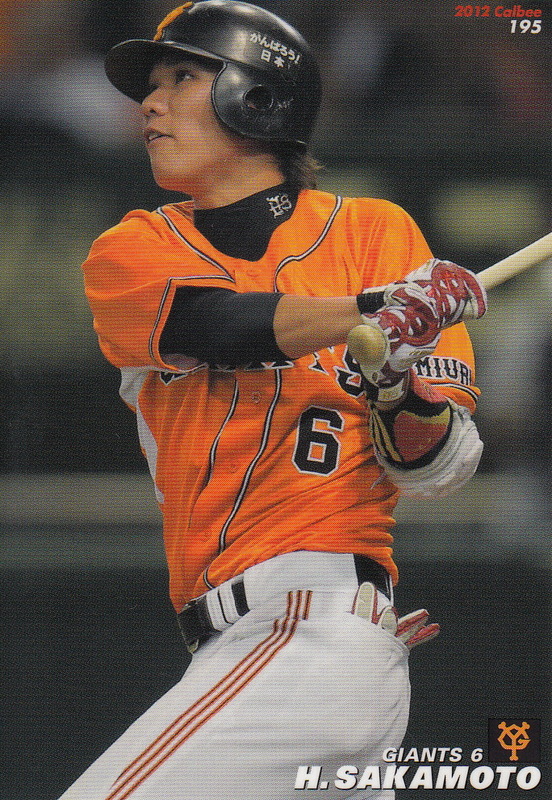 It's almost identical to the Home uniform except that it's grey instead of white. PBUE only has the Away version of the 2007 "Great Central" uniform. 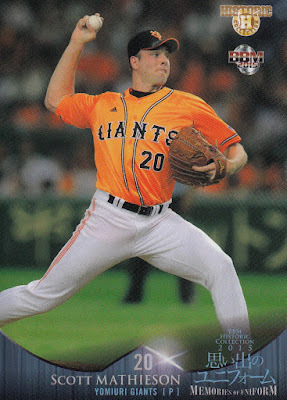 I know it's a new uniform but I can't tell what changed with the 2014 home uniform. 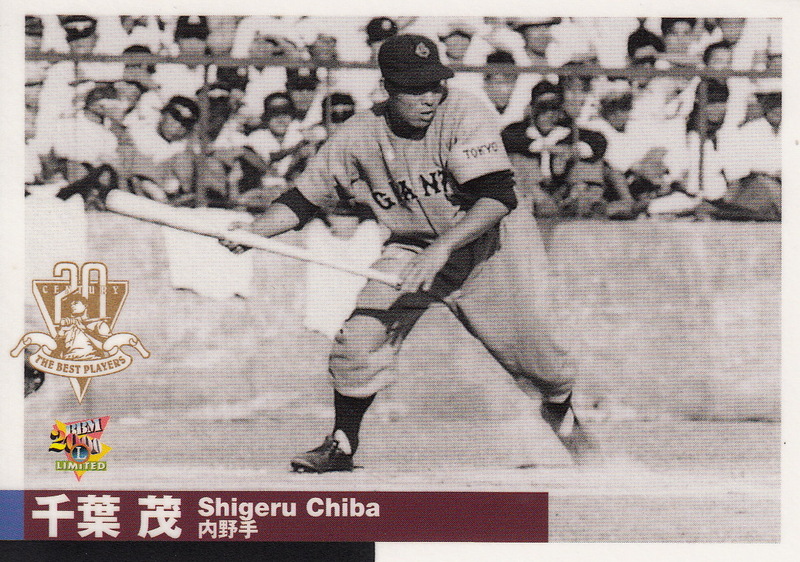 The colors aren't quite right on the 1950 bromide (JBR 89a) of Noburo Aota and Shigeru Chiba. 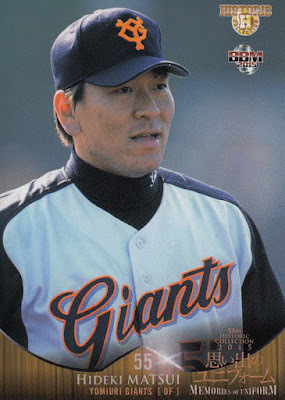 The logo on the hat and the "GIANTS" on the uniform front should be navy like the piping of the "yoke" of the jersey. 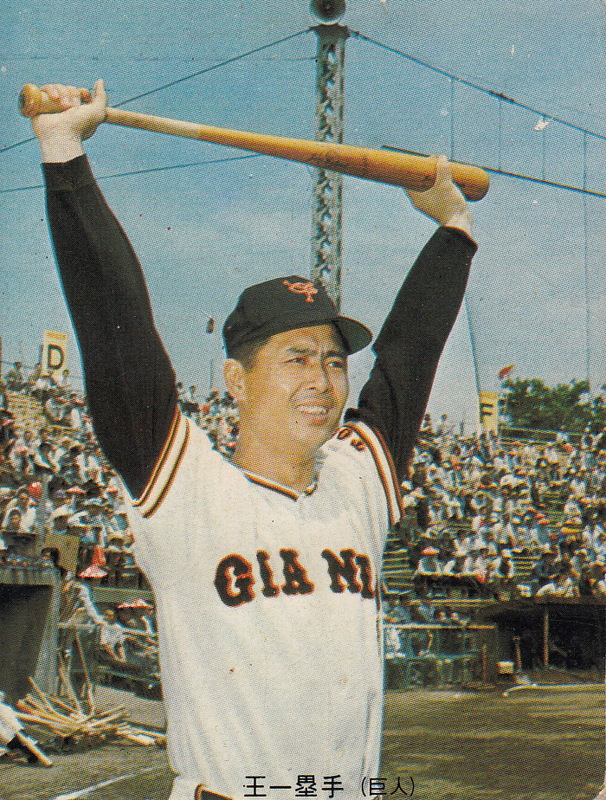 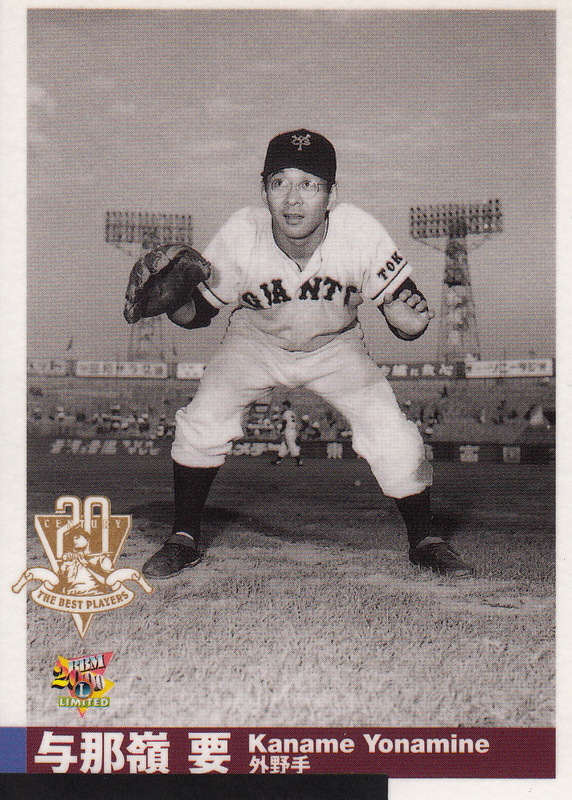 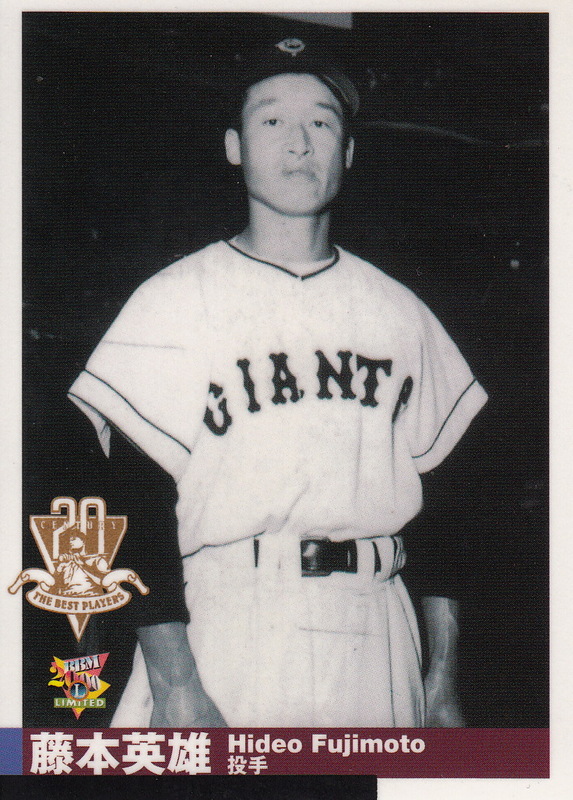 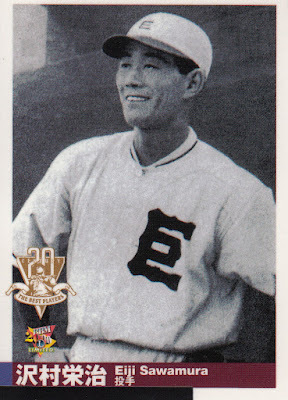 One oddity that I came across while researching this was a card showing Sadaharu Oh wearing a "pillbox" style Giants hats. It's not mentioned in HOU at all but there's a blurb in PBUE that shows that these hats were used at at least one of the All Star games in 1979 (and one of the Calbee albums from 1979 shows Shigeru Kobayashi of the Tigers wearing one of these hats on the inside cover). 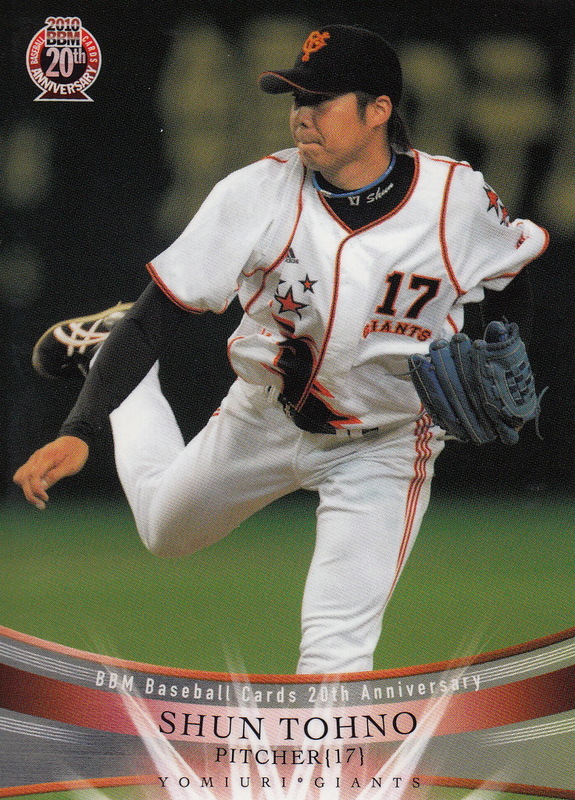 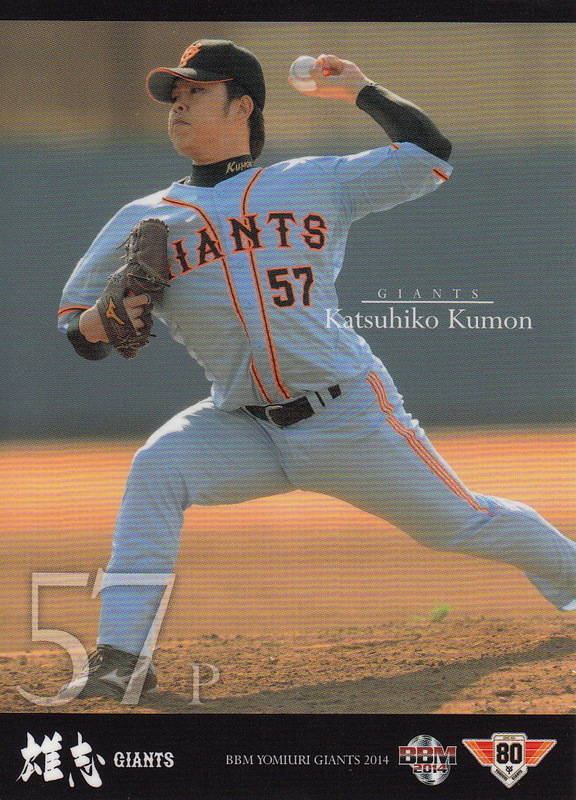 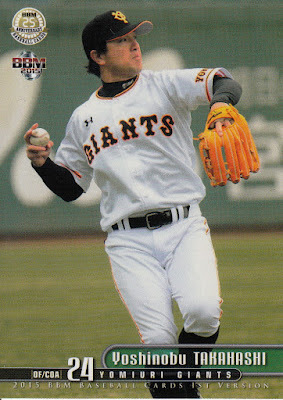 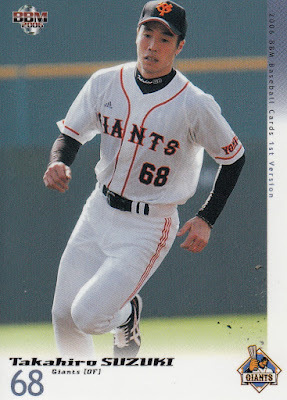 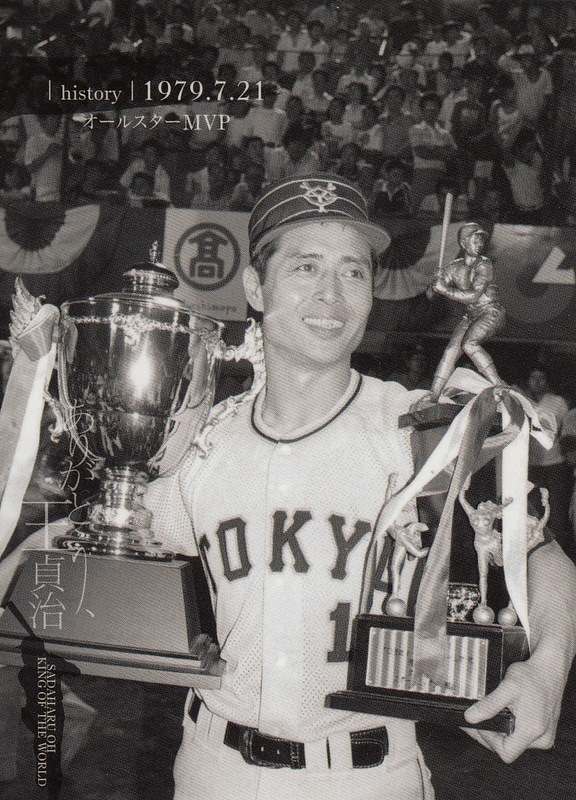 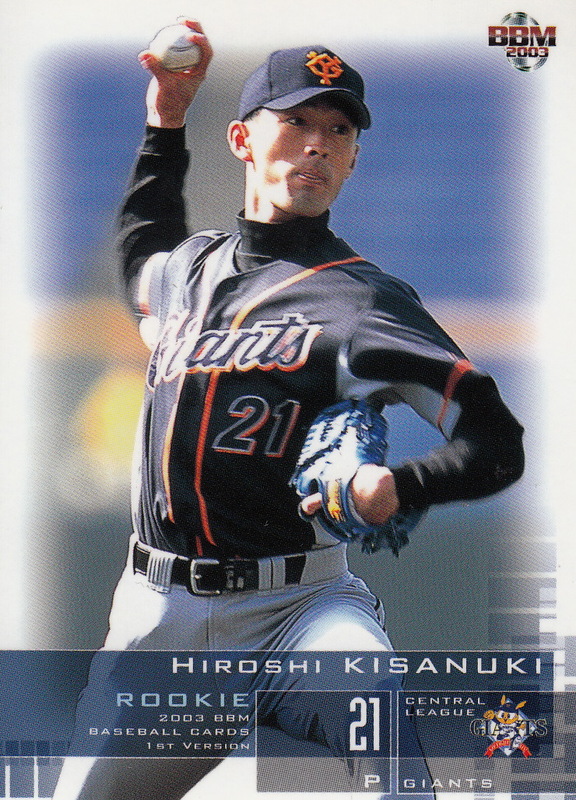 Since Kobayashi is wearing a home uniform on the Calbee album and Oh is wearing an away uniform on his card, I'm going to assume that they used the hats for all the All Star games that year.